With more than a billion monthly active users as of December 2012, 618 million daily active users on average in the same month and about 82% of their monthly active users being outside the U.S. and Canada, Facebook continues to dominate the social network scene. It may continue to do so for quite some time. Facebook is trying to match its rapid growth with consistent updates and new features for its users. In these past few months alone, there has been the debut of chat heads for iPhone and iPad, a new look for the news feed, improvements to timeline and Facebook Home ‘took over’ Android phones. Of all these changes, there is one that everyone seems to be talking about recently, the use of emoticons. 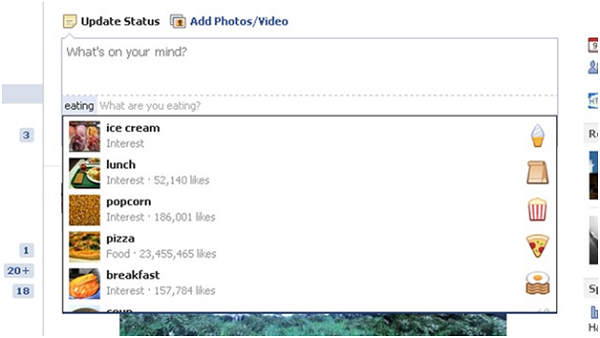 The Facebook status just got more personal. Now individuals can better express their feelings, show a movie they are watching, an artist that they are listening to etc., all in their personal status. Facebook has launched this new feature to only a few select profiles but plans on adding more users within the coming weeks. What is your opinion of emoticons? Are they a way to better communicate your feelings, or is it just another tool for advertisers to get personal data?